Setting up appropriate ad groups can be one of the most effective tasks under the campaign umbrella. Our methods ensure flexibility in upgrading or downgrading adgroups based on performance. We have a database of negatives we use to start you off jogging. We will also monitor profitability of keywords to ensure budget is being allocated to the right keywords. Today's competitive websites have to have unique content that shows immediate value to your qualified visitors. 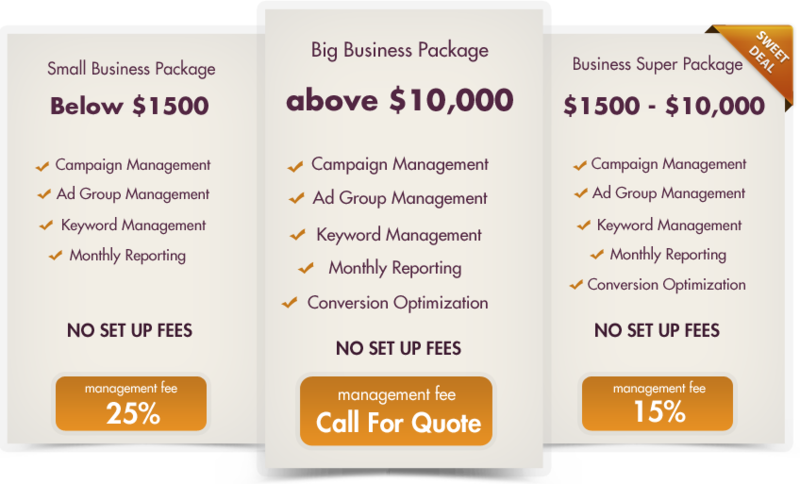 Our conversion package will help your landing pages do their job of turning visitors into customers. We use tried and true analytics to determine what is and isn't working for your site. As a transparent PPC Company we'll keep you informed with regular and consistant reporting every month. I am sure you have heard horror stories about someone accidently leaving a campaign on or adding a decimal in the wrong place. The truth is Google is unforgiving when it comes to "user error," nevertheless, we are.